Deputy Andrews was shot and killed during a robbery attempt at a service station while he was off duty. A suspect tried to rob him in the gas station’s restroom and shot him when he identified him as a law enforcement officer. The suspect stole Deputy Andrews’ service weapon and department identification before fleeing. The suspect was arrested, convicted of Deputy Andrews’ murder, and has since been released from prison. 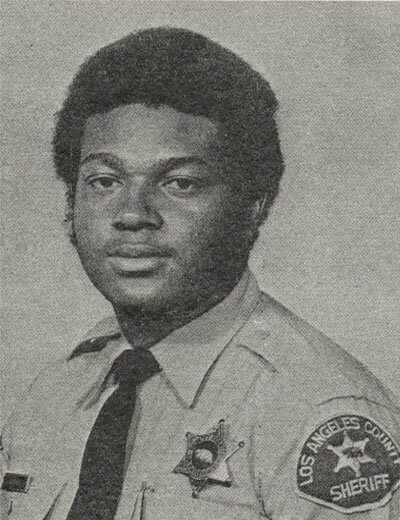 Deputy Andrews had served with the Los Angeles County Sheriff’s Department for four years. He was survived by his fiancée, parents sister and brother.